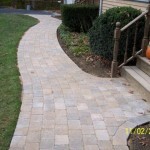 Walkways MA, Walkway Design MA, Paver Driveway MADecorative Landscapes Inc.
Walkways are an essential component that define flow to your landscape. Walkways are paths that provide a sense of destination whether it be meandering through gardens or to your front steps. They can define the scheme around them as formal or informal. Walkways also provide an opportunity to enhance the beauty, architecture, style and value of your property. Decorative Landscapes Inc. offers a wide variety of products to choose from in an unlimited array of colors and textures. Some samples are: Concrete Pavers, Bluestone, Brick, Sandstone and other Natural Stones. We will work with you to design the perfect walkway for your space and aesthetic appeal. Certified Hardscape Installers will install your project. 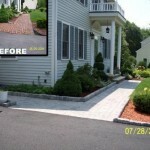 A paver driveway will add value, curb appeal and durability that will stand the test of time. Installing a paver driveway means you will never have to reasphalt or jack hammer up poured concrete because of cracks or damage. Pavers will stand the test of time without cracking and have a lifetime warranty. If you want to install your driveway once and never have to worry abpit it again pavers are what you want. You also have the flexibility to choose any color or add any architectural element that will enhance your properties design scheme. 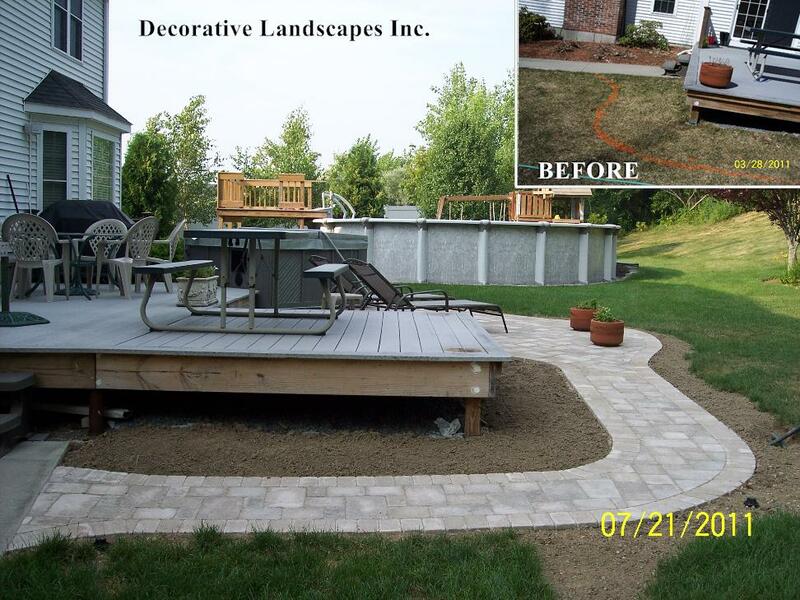 Decorative Landscapes Inc. takes pride in careful detail to proper base preparation. If you don’t have a good base your walk will not last. If you are comparing companies make sure you ask how they prepare the base? You may not be comparing apples to apples! Base grading is also essential to proper water run off. With our expertise in excavation and state of the art laser equipment, we ensure proper pitch and grading for our hardscape installations. After completion of the walk, a restraint system will be utilized to prevent the movement of the block along the edges, all seams will be filled with a special Polymeric Sand and the construction site will be completely cleaned and detailed as if the crew had never been there! Appearance: Wide Selection of Styles, Sizes and Colors. Cost: Moderate. Segmental Units fit tightly together without mortar on a gravel base. Performance: Lifetime beauty will not rot or decay and are environmentally safe. Durability: Excellent. Very durable, dense units and dry stack construction allow for better drainage and resist freeze-thaw damage. Performance: Easy to replace damaged pieces. Lasts Forever! Can handle heavy loads. Easy to repair. Rough surface may make snow plowing difficult. Durable. However, if damaged the whole wall may need to be dismantled and reinstalled. Divets can develop. Must be added to & re-leveled regularly, annually recommended.